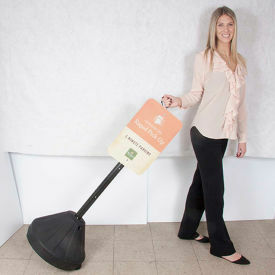 Convert Traffic Cones Into Safety Signs With These Cone Signs. Eliminates the need for permanent signage! Signs are constructed from durable plastic. Specially designed cut-grooves for simple installation. Simply slide the grooved portion of the sign into the top of an open cone. Message is printed on one side. Signs measure 10 ½ x 12 ¾ . 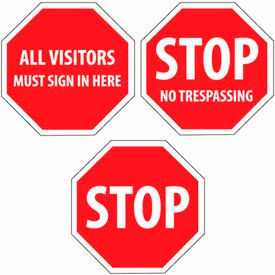 Security Stop Signs Are Designed To Increase the Visible Enforcement of Security in Private Property. 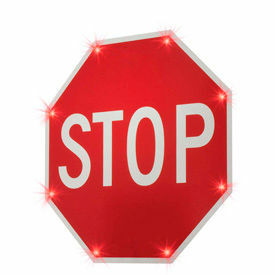 These bright red stop signs simply cant be ignored. Signs are 12 x 12 octagons with large white text for maximum visibility. Rigid plastic construction is designed to hold up to the elements for both indoor and outdoor use. Supplied with radius corners and pre-drilled corner mounting holes for easy installation. 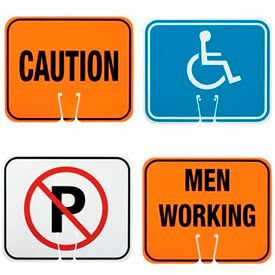 Motor Vehicle Signs Provide Important Vehicle Safety Information. 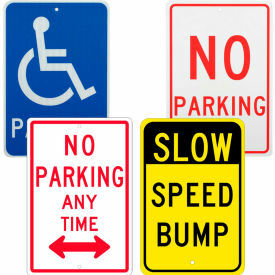 Motor Vehicle Signs are made of Pressure Sensitive Vinyl material for long lasting durability and dependability. Three signs available. 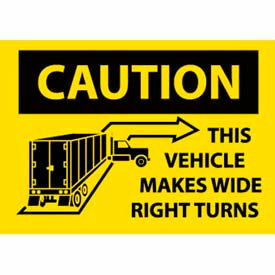 Caution This Vehicle Makes Wide Right Turns is Yellow/Black in color and measures 10 in. H x 14 in. W. Fasten Seat Belts is White/Red in color and measures 2 in. H x 4 in. W. This Vehicle Stops At All Railroad Crossings is White/Red in color and measures 9 in. H x 20 in. W.
Tapco® Blinker Breakaway Pole Packages Help Prevent Vehicle Rollovers By Eliminating Above-Ground Extensions For Road Safety. Tapco® Blinker Breakaway Pole Packages are designed for use with large hard wired or solar systems to support electrical signs. Breakaway compliant pole packages can be installed in poured concrete foundation (anchor bolts) or soil (foundation anchor). 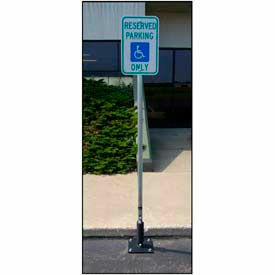 Available pole packages are Decorative, Heavy Duty, and Standard. Color finishes are Aluminum, Black, and Silver. Dimensions vary per model. Tapco® Breakaway Post Anchors Are Reusable Flush-To-The-Ground Anchor Lines For Securing Traffic Sign And Mailbox Posts Safely. Tapco® Breakaway Post Anchors are constructed of heavy duty hot-rolled carbon steel and dip-coated in rust-inhibiting primer for long lasting durability. 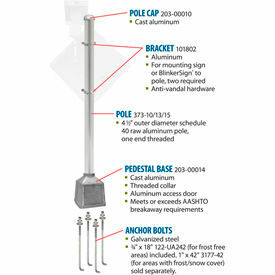 Anchors are federally approved breakaway solutions for signs, mailboxes, flexposts, fences and markers. Socket design makes post installation and replacement quick and inexpensive. Formed sheet steel stabilizer fins prevent rotation regardless of ground composition. can be installed in a matter of minutes, either by hand or with a power driver. Once installed, simply insert a post into the socket and drive the patented locking wedge, locking the post into the anchor. 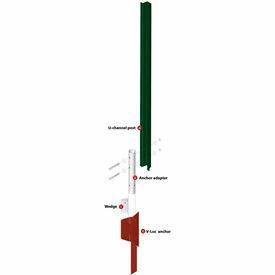 Kits available for Round, Square, and U-Channel Posts w/Wedge. Available mount types are Asphalt, Concrete, New Concrete, Soft Soil, and Soil. Heights are 8, 12, 18, 24, and 30 inches. Color finish is Silver. Dimensions vary per model. 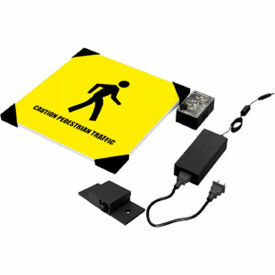 Tapco® Flashing Safety Signs Attract The Attention Of Employees To Control Flow In High Traffic Indoor Areas For Crowd Safety. 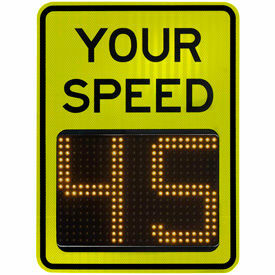 Tapco® Flashing Safety Signs are made with High Intensity Prismatic for long lasting durability. Sign systems draw very little current to provide saving on electricity expenses. 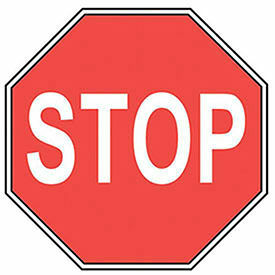 Available sign types are STOP and STOP For Forklift Traffic Indoor Sign. Heights are 8, 12, 18, 24, and 30 inches. Colors are Red and Red/White. Dimensions vary per model. Tapco® LED Traffic Controller Signals Help Direct Vehicle And Pedestrian Traffic Flow In Parking Complexes, Side Roads, Schools, Event Areas And With Other Signs. 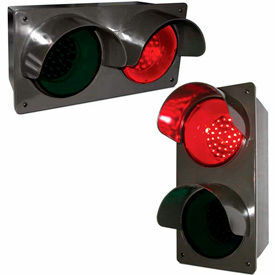 Tapco® LED Traffic Controller Signals are made of two piece injection molded, impact resistant Lexan™ resin housing for long lasting durability and safety. Features 3" hoods over lights for added visibility and protection in various outdoor conditions. Signals can be post or wall mounted. Includes integral wall mount and red & green LED light engines. Optional replacement light engine set in red and green also available. Controller styles are Horizontal and Vertical Signal. Colors are Red/Green. Dimensions vary per model. 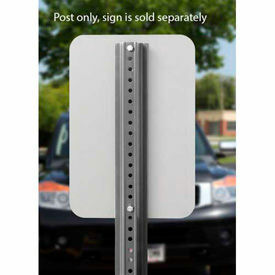 FlexPost® Sign Systems Are Used For Protecting Vehicles In Surface Parking Lots. FlexPost® Sign Systems are impact resistant with 360° of flexibility for superior performance. Standard steel base, carbon steel torsion spring and E-Coat corrosion resistant barrier with durable black powder coat finish provide long lasting durability. 6 foot tall steel 1-5/8" round galvanized silver post. Handles any steel regulatory signs. Easy installation. 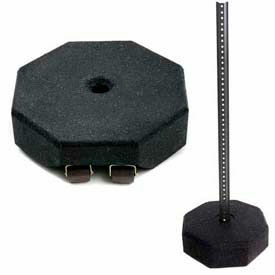 Mounting hardware included for asphalt installations. Styles are Rigid or Standard. Overall height stands 78" Tall. Available mount types are Asphalt, Concrete and Natural Ground. X-Tube Parking Lot Sign System Offers A Safer Walk Against Traffic For School Children And Other Pedestrians. 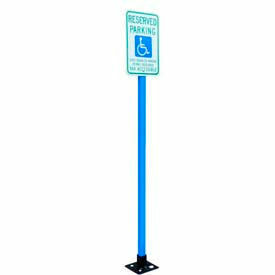 X-Tube Parking Lot Sign System consists of a 78" highly imact-resistant plastic upright with handicap sign attached and a thermoplastic injection molded one piece base. 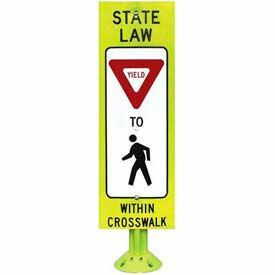 1-3/4" diameter upright is avaialble in bright Blue or White color, UV stabilized with no cross members and pre-drilled holes for sign and base. One-piece design base has no welds or pieces that could potentially fail, pin hole opening to lock upright in place and is flexible to allow for rebound rather than bending. Thermoplastic construction will not rust. Upright and Base also available separately. 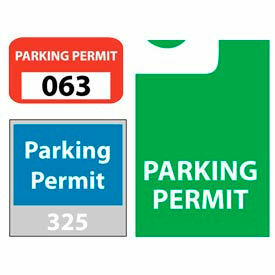 Place Traffic Signs around the parking lot or wherever a traffic safety reminder is needed. Includes predrilled holes for mounting to post. Signs in English only. 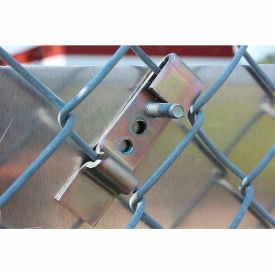 Sign Bracket Allows Signs to be Posted on Chain Link Fences and Similar Compatible Barriers. Sign bracket supports and upholds signs in need of attachment to fences. Compact, lightweight design ensures portability and tool storing options. Galvanized steel provides lasting durability. Specifications vary per model.